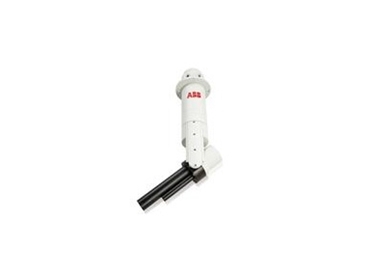 Automation and power technology group ABB has launched the VM3D Volumetric Laser Scanner, designed to measure the volume of bulk material stockpiles stored in the open or in large silos, bunkers, domes and sheds. The system combines high accuracy laser sensors with remote monitoring and data processing services for measurement of all visible surfaces of any texture, granularity, slope and/or colour. It also delivers confident stock management and accurate auditing of mineral ores, grains and synthetic materials, whether it is gold, metal ores, sugar, coal, or fertiliser. Its sensor auto-ranges to measure points from 0.5m to 93m. The narrow beam divergence of the laser combines with precise, mechanical scanning to cover a whole hemisphere. Multiple scanners can be combined to determine the shape and volume of the biggest stockpiles. Dust tubes keep lenses clean and heated optics stop condensation. The system sends raw data over 3G phone networks to the ABB data centre. The data is then examined using building blueprints to find a baseline and inventory depth. The analysis removes artefacts from the volume estimates like machinery and building structures. The volume estimates have less than two per cent error for volumes greater than 100m³. The end product is an image of the stockpile and an accurate estimate of the volume and mass that are securely transmitted back to the user. The scanner hardware comprises of a monthly scan for three years. Weekly, daily and on-demand scans are available if required.